Land Energy has firmly established themselves as industry experts in designing, installing and running bespoke biomass solutions in a range of industries, our expertise stemming from our very own company. We know first hand that choosing the right biomass boiler comes with many trials and tribulations, and we practice what we preach in relation to the use of biomass energy, as our wood pelleting plant is run completely on heat and power produced by our own combined heat and power boilers and our own fuel. To meet our clients’ heat and power objectives and provide the right boiler, we only deal with completely bespoke engineering solutions. Each installation is tailored to meet individual specific goals and fulfil each client’s requirements in terms of their needs of volume and consistency of heat and power. To enable us to meet these objectives we don’t tie ourselves to any specific brands or manufacturers for the sake of convenience – we evaluate the products available on the market and select the right model and manufacturer for a client. Before we can select a biomass boiler or CHP, you need to ensure your company’s objectives are carefully laid out in terms of peak and off-peak demand loads and times and future business growth, so we can tailor your boiler to meet and quite possibly exceed your expectations; to that end, we’ve put together an outline of how we matched some of our clients with the perfect biomass solution for their business. As a poultry farm, providing constant and reliable heat to the poultry sheds was of the utmost importance to Moy Park, which is one of the reasons they decided to make the switch to biomass energy. Their aims were simple: significantly reduce CO2 emissions to match their customers’ environmental standards, secure a long term and stable energy source to alleviate some of the pressure that a fluctuating energy price market can cause, and finally, do so without incurring any capital costs. Our solution was simple: we supplied a turnkey ESCO solution, including a 199 kW boiler per poultry house and a wood pellet supply on a 20 year contract. This addressed their needs for an environmentally friendly and consistently priced energy source. The results speak for themselves, with a vastly reduced CO2 saving (the results are to be reviewed presently), 4 million litres of fossil fuel displaced per annum, and a projected lifespan financial saving of 15-20%. Fluctuating fossil fuel costs and the need to maintain optimum growing conditions at all times meant that R G Walter & Son were keen to fix their annual energy costs to maximise their profit margins. It was imperative that the handover to biomass was as quick and as unobtrusive to the business’ productivity as possible. We proposed two 990 kW multi fuel boilers to be continuously fed by pellets from attached 25 tonne storage silos. We opted for containerised boilers to simplify the installation and reduce disruption to production, and we selected remote monitoring to enable conditions in the greenhouses to be monitored and adjusted simply, this would ensure consistency across the greenhouses which would result in the production of fruit of a consistent quality. The swap to biomass energy means R G Walter are expected to see a life time cost saving of 15-20% and CO2 savings of 1,100 tonnes per annum. For more details on these projects, or any of our other work, take a look at our case studies available here. 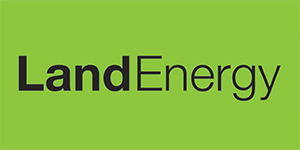 Land Energy specialise in finding bespoke biomass solutions for commercial industries, with a focused expertise on industries such as power plants and manufacturing plants, agricultural industries and hospitality venues. We’re dedicated to offering fully sustainable, reliable and profitable energy solutions for any client, so don’t hesitate to get in contact today to talk to one of our expert in-house staff about your requirements.